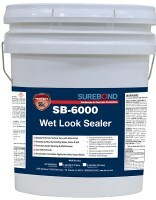 Can I use SB-600 on a acid stain concrete? No. You need a sealer that dries on top of the concrete like Super Seal Matte. What brand and type are you trying to remove? I need to remove an inferior product that has left my pool pavers a slippery night,are. What product can I use to remove the existing sealer ? 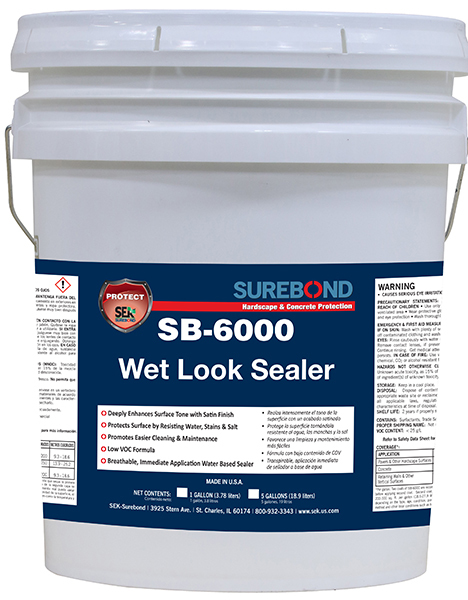 Will the superbond SB 6000 be slippery when wet? 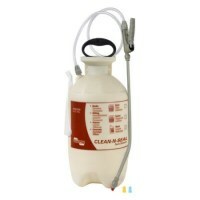 Make sure there is not discoloration form and old sealer and that the surface is porous by performing a water test. Drop some water onto the pavers and make sure it does not bead. Can I use any of these sealers for exterior travertine? The SB-7000 is not a wet look but a gloss shine. SB-6000 is a wet look without shine. If you still have a previous coating then it is possible that a new coating will not work for you. Really depends on what the previous coating was and if it is still sealing the surface or not. Can I use either a water based or a solvent based sealer on a concrete paver driveway which has been treated with a water based penetrating sealer? I need a wet look, not necessarily glossy. Also, what is the difference between SB-6000 and SB-7000? Is it just that SB-7000 is more glossy? This product is safe to use and will not yellow. This product is for outside use mainly so I am not sure it will work on your particular floor. I have a question for you. I have a eco friendly green home that I am building in the Portland area. My Client is a cancer doctor and is very cautious about the products that we use. The interior floor has a sand finish acid washed slab that is going to be the finished floor. The floor also has radiant heat under slab. I am looking for a product that will be safe to use and will not yellow out due to the heat. Do you think that this is the right product for me???? Can you tell me the risk of using SB-6000 or SB-7000 in a pool area, where after being removed with Xylol, the mix of Xylol and sealer were allowed to enter the pool water? A NC Chemist found Xylol to be in our liner but we were unsure of the chemistry of the sealer. Any advise or information you can offer will be appreciated. Thanking you in advance. You can use the SB-6000 for the concrete driveway. May also want to look at the SuperSeal25 or SuperSeal30. I have a 3400 SQFT paver driveway in N. Florida. What sealer do you recommend for a wet look that is safe for driveways?